In a survival situation you may have to result to cannibalism. Or maybe you want to take it up because you are psychologically deranged or just love the taste. Whatever the reason there are some handy tips you should know. Trying to determine the nutritional composition of humans is not easy. My own calculations seem way too high, suggesting an average person could feed you for 77 days. Luckily I discovered a wonderful academic article that provided a more accurate figure. Still 39 days seems a lot. 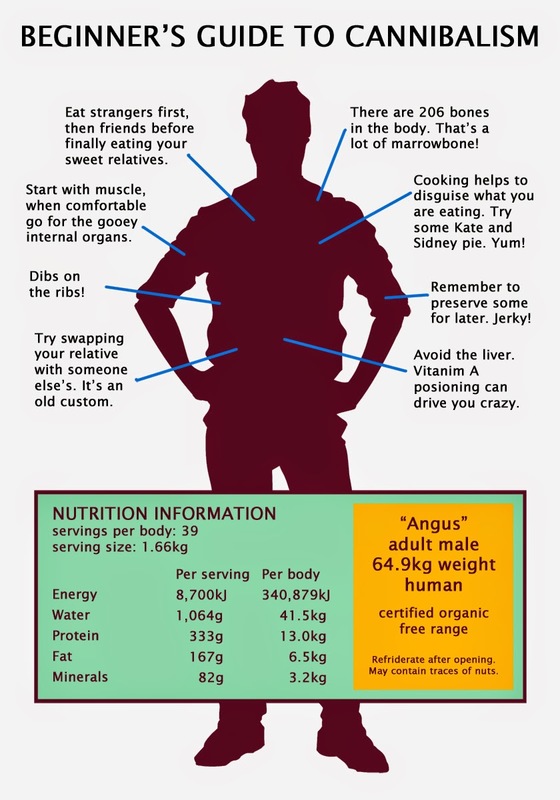 So play it safe and plan for a body lasting less long, especially if you do not like offal. iZombie invades the small screen!